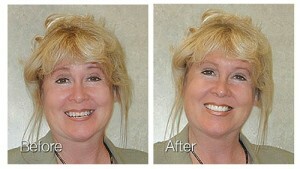 Lumineers are an easy and painless way to transform your teeth and achieve a beautiful new smile. Since they were introduced more than 30 years ago, Lumineers have become a popular alternative to traditional veneers. The team at Overland Park Dentistry put together a list of the most common questions that we get from our patients regarding the Lumineers process. Q: How do Lumineers differ from traditional veneers? A: Lumineers are much thinner than traditional veneers. This means that little, to no, tooth grinding or reduction is necessary. Lumineers are also more translucent than traditional veneers, which gives them a more natural looking appearance. Q: What does the Lumineers procedure involve? A: The Lumineers procedure requires two visits. During the first visit, we will create a precise mold of your teeth and determine the appropriate shade of white for the Lumineers. The impression is sent to DenMat Lab where they create your custom Lumineers. During your second visit, we check the Lumineers for color and fit and apply them to your natural teeth. This process typically takes about an hour. A: Lumineers are ultra-thin and applied directly to the surface of the teeth. In most cases, Lumineers fit perfectly without the need for numbing or grinding of the natural teeth. The process is pain-free, and most patients say their Lumineers feel completely natural from the very first moment. Q: Can I have my Lumineers removed if I decide I no longer want them? A: Yes. The process is completely reversible since there are no changes to the underlying tooth structure. Q: Will I be able to eat my favorite foods with Lumineers? A: Absolutely. Lumineers are very durable and resistant to wear, which allows you to eat with confidence. However, even with Lumineers, it is still important to see your dentist every six months for regular checkups and cleanings. Q: Who is a good candidate for Lumineers? Q: How long can I expect my Lumineers to last? A: In most cases, Lumineers last an average of 20 years. Do you have further questions about Lumineers? The team at Overland Park Dentistry is happy to answer any questions that you may have. Just give us a call at (913) 647-8700 for our South Overland Park office and (913) 341-2380 for our North Overland Park office.